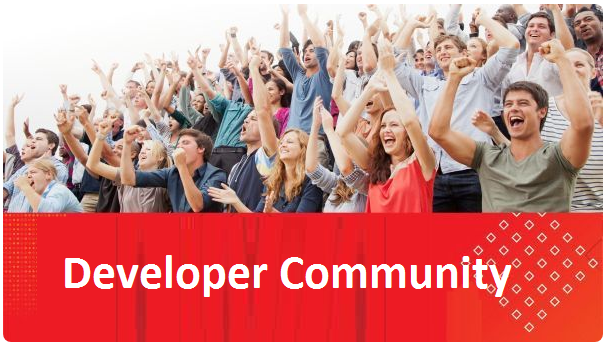 We are pleased to announce the release and open sourcing of the Technology Preview version of the Oracle WebLogic Server Kubernetes Operator! We are releasing this Operator to GitHub for creating and managing a WebLogic Server 12.2.1.3 domain on Kubernetes. We are also publishing a blog that describes in detail how to run the Operator, how to stand up one or more WebLogic domains in Kubernetes, how to scale up or down a WebLogic cluster manually or automatically using the WebLogic Diagnostics Framework (WLDF) or Prometheus, how the Operator manages load balancing for web applications deployed in WebLogic clusters, and how to provide integration for managing Operator logs through ElasticSearch, logstash and Kibana. A Kubernetes Operator is "an application specific controller that extends the Kubernetes API to create, configure, and manage instances of complex applications". We are adopting the Operator pattern and using it to provide an adapter to integrate WebLogic Server and Kubernetes, allowing Kubernetes to serve as a container infrastructure hosting WebLogic Server instances. 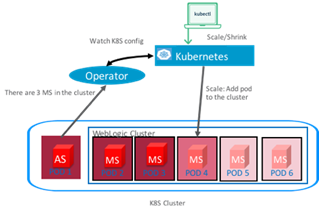 And so the WebLogic Server Kubernetes Operator is an operator that extends Kubernetes to create, configure, and manage a WebLogic domain. Read the complete article here.